MorganStanleyGate: More Lies Exposed . . . Can No One Tell the Truth in Durham NC? More Lies Exposed . . . Can No One Tell the Truth in Durham NC? 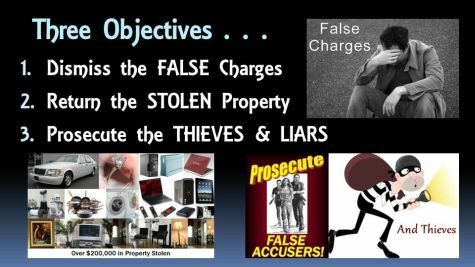 Marcia Morey, reveal an astonishing level of deceit and prevarication pertaining to a May 6 hearing on BOGUS charges that should have been dismissed long ago. In short, this contemplated May 6th hearing carries no legitimacy whatsoever, and is a set-up, in that whatever action Spencer C. Young would take, the end result has been FRAUDULENTLY arranged to be adverse to his interests -- notwithstanding, even if he were able to attend, the downside in defenselessly attending this "kangaroo" hearing, is significant. Meanwhile it is preposterous to ignore the felonies perpetrated by Durham Judge David Q. LaBarre and his girlfriend, Leah R. Krier, and the reckless prosecutorial acts of his long-time friend and colleague, Durham District Attorney Leon Stanback, and his assistant, Kelly G. Gauger. Your email to me (below) was sent at the same time I was calling you; however, you not only didn't answer, but you disengaged your voicemail, and yet the call was made BEFORE 5:00 pm. It appears you were instructed to do so. You've misrepresented the process of assigning judges -- the "rotation" is often NOT followed and in this case it was obviated so that Judge LaBarre's long-time friend and colleague (Judge Allen) would be positioned to conduct a "kangaroo" hearing, and for the record this is most certainly NOT a domestic violence matter . . . as that would be physically impossible to manifest, and the "accuser" has already admitted to this fraud. Perhaps there is something in Durham's municipal water, but it appears NO ONE there can tell the truth or otherwise operate within the boundaries of reality. This FRAUDULENT SCHEME could not be more obvious, so allow me to reiterate -- do that which will postpone this absurd May 6th hearing (which I cannot possibly attend) and complete theTHREE SIMPLE OBJECTIVES . . . The name of the conference is North Carolina Advocates for Justice – Law Day Agenda in Greensboro, NC, Civil Rights Museum from 8:00am to 4:30pm. Judge Marsh was never assigned to hear this case. We have a twelve month assigned rotation in Durham County. The week of May 6th, Judge Marsh is assigned to our Jail court and has been since February 11, 2013. Judge Allen will not see this until Monday morning when he arrives for court at 9:00 am. 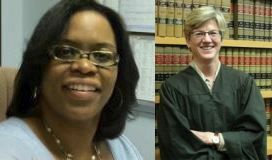 Judge Allen has been our Domestic Violence Judge since 1998. He works on Mondays and Tuesdays only. Judge Morey does not have a specific clerk working in her courtroom. All seven judges are on a weekly rotation in District Court. There are maybe 10 to 12 different clerks who actually work in District Court courtrooms. We have 8 different types of court each week: criminal (2), traffic, civil, juvenile, jail, family court and domestic violence court.